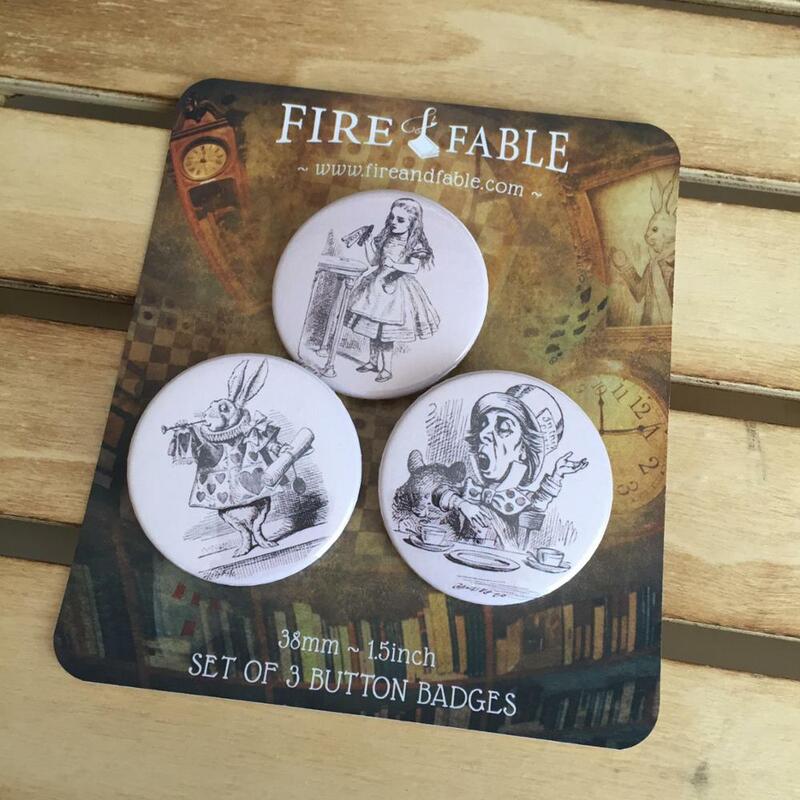 Metal button badges. Size 38 mm. Designed and produced by fire & fable, sheets are presented in an indivisible three units pack.